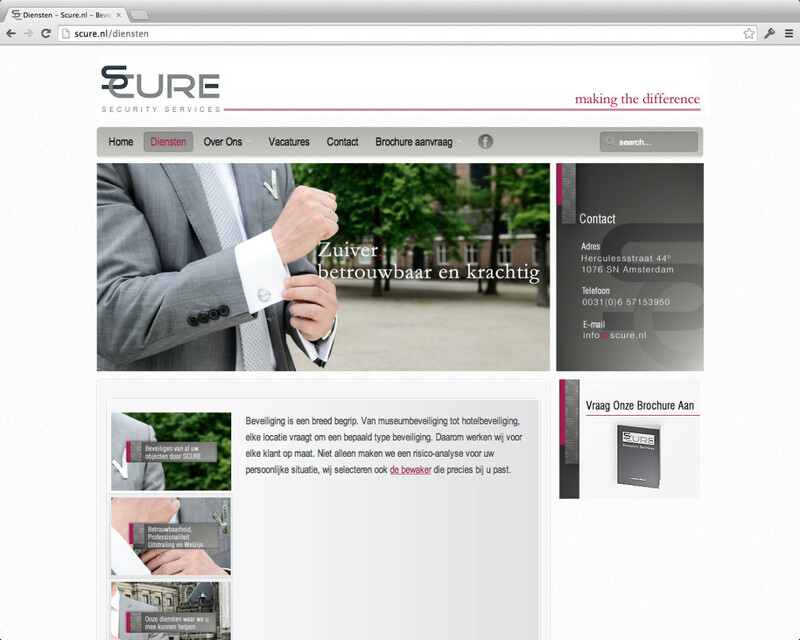 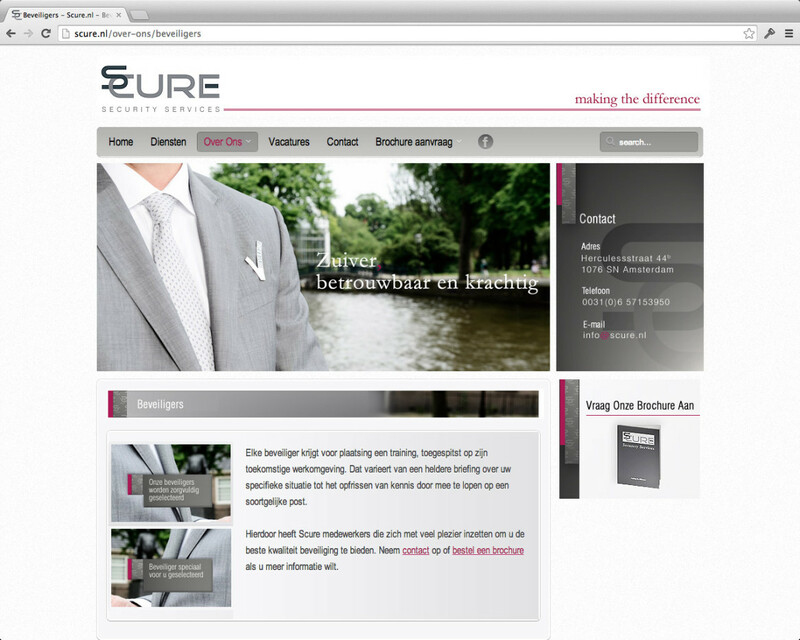 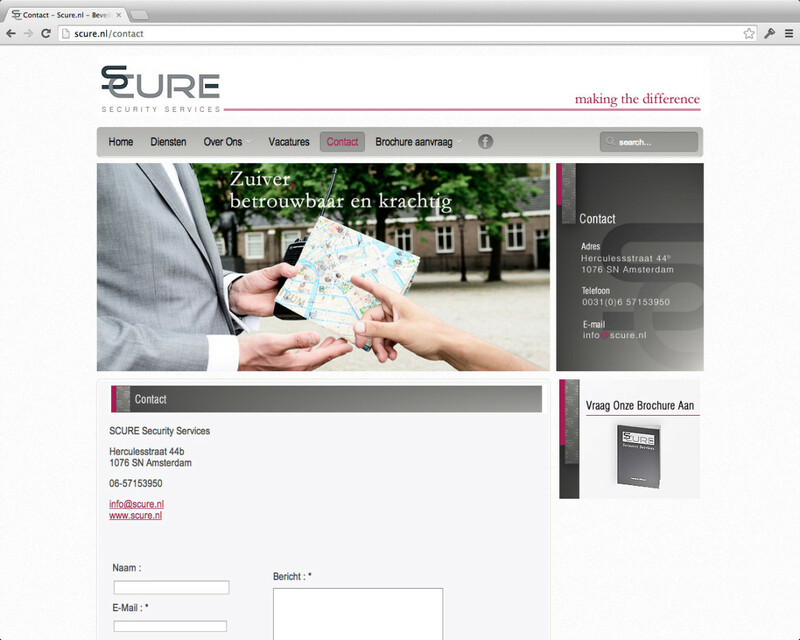 For the company website of Scure, Tobias Groenland was asked to create new content to be used on the website and in their brochures. 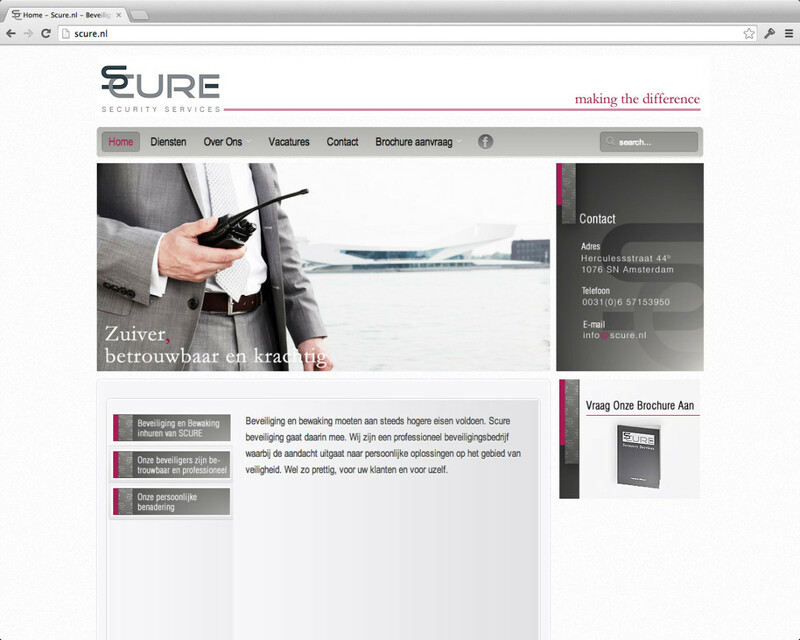 The story was visualised by photographing a security officer on the job explaining the key values of the company. 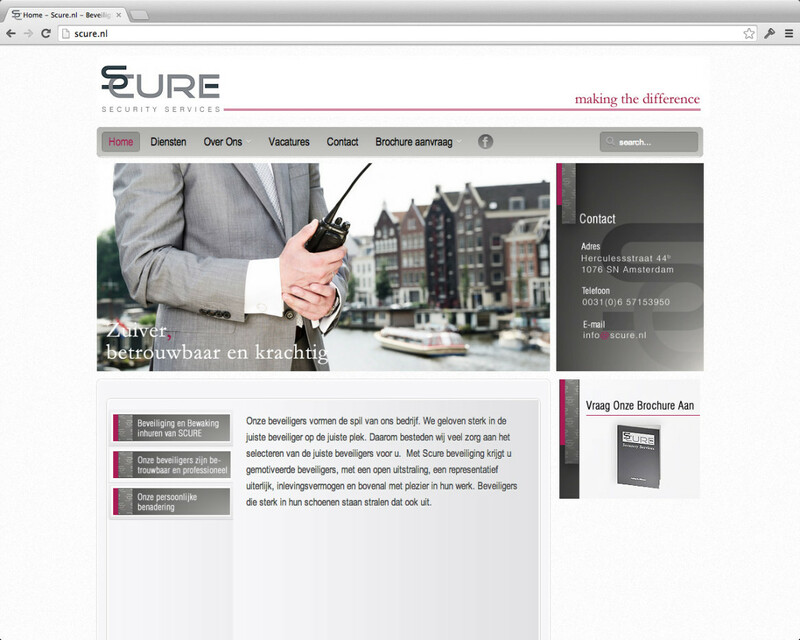 Several locations in the city Amsterdam were used the visualise expertise and knowledge on the local market.